The advent of action cameras has allowed us to capture our lives and the awe-inspiring world we live in from an intimate perspective unlike anything seen before. Whether it’s an adrenaline-pumping downhill bike race or your child’s carousel ride, the footage captured with an action cam is the best way of preserving treasured experience we can make use of today. 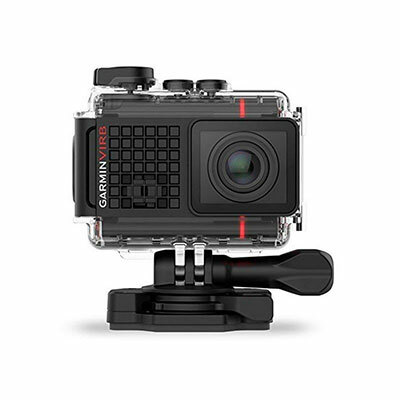 Below we help you find the best 4K action camera. Stabilized 4K video. Versatile mounting options. Sensitive voice activation. Good image stabilization. Excellent image stabilization. Rugged, waterproof exterior. The best part is that action cameras are constantly evolving! First, there were still photos; then FullHD video showed us what real immersion looks like. Now, 4K takes the stand as the sharpest & most life-like way of experiencing past adventures all over again. Provided you have a current PC or 4K TV, you’re in for a real treat if you buy a 4K action camera. Which one should you get though? They may differ in price, max framerates, and other specifications, but all provide a fantastic 4K experience. Before committing to your new action camera, remember to also take a peek at our tips section to see what features and properties a good model should have. Ah, how far we’ve come! What started out as one man’s dream to snap awesome surfing images straight from the halfpipe – the GoPro – has become the gold standard other action cam manufacturers aspire to a decade and a half later. They’ve wowed us with the HERO5 Black already, and not even a year later its slightly more capable successor has come to usher in the age of 60 fps at 4K. You’d be hard-pressed to see any changes between the HERO6 Black and its predecessor as they’re practically copies of each other visually. This is mostly true about their connectivity settings, voice commands, and apps too. For the uninitiated, this means you’re getting a compact camera body that can take a beating and won’t mind watery depths of 30 feet or less. The responsive touchscreen returns, albeit a bit sharper and more balanced. Other GoPro staples like GPS, Wi-Fi, editing apps, and voice activation are back too. The latter can now put the camera in an 8-hour sleep mode and have it ready in an instant. The big upgrade that justifies buying the HERO6 over its previous version is the built-in G1 chip. 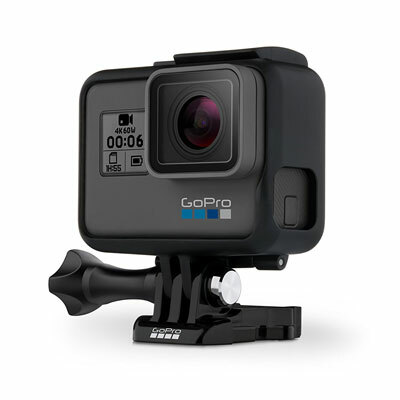 Developed by GoPro themselves, it enables 60 fps in 4K mode. The 4:3 aspect ratio is supported in 4K as well, bringing the video resolution to an unmatched 4,000×3,000. Slow-motion videos now look better than ever as 2.7K resolution has skyrocketed from 60 to 120 fps. The new chip improves upon the HERO5’s already noteworthy image stabilization, which is now available for videos in 4K at 30 fps. Whichever mode you shoot in, the video is sharp and distinguished. Transitions from and into dimly-lit areas lead to almost no noise or loss of quality, and the camera’s dynamic range increase gives your videos a more lifelike color palette. The removal of FOV options in lieu of a digital zoom might not have been GoPro’s best choice for this generation. While it allows for more focus, the zoom visibly degrades image quality. Even though the HERO6 could definitely use a better one, the same 1200mAh battery already seen in the HERO5 makes a comeback and is slightly less efficient this time. A little under two hours of recording time per charge for FullHD videos and 60 minutes for 4K is the most you can hope for. Dimensions: 1.8 x 2.4 x 1.3 in. While the HERO4 was a step in the right direction, GoPro still had a ways to go in making their flagship action cams more accessible and straightforward to use. They’ve finally hit the nail on the head with the HERO5 which brought improvements across the board like an LCD screen, waterproofing, and better sound quality just to name a few. It may have been superseded by the newest Black version in GoPro’s lineup, but the HERO5 Black is without question still a relevant, and arguably smarter purchase if you can stand to lose out on the 6’s better framerates. Design-wise, the HERO5 Black is where things finally clicked for GoPro. It is slightly bigger than the previous version and encased in a new waterproof frame. A bright 2-inch touchscreen has become an integral part of the action cam, its front screen is better organized, and the single button feels great to use. The HERO comes with solid digital image stabilization as well as a slew of photo and video editing features you can use to adjust framerates, white balance, ISO settings, and more. 4K has a maximum framerate of 30 fps and looks true to life even though it can’t be stabilized. Once you’ve taken a few clips, you can merge them together into a neat montage via the Quick app, or tinker with them using Splice. In normal conditions, you can accomplish anything on the HERO5 Black with a good swipe. This becomes unreliable in a drizzle however as the screen struggles to interpret your slippery commands. It is a bit bigger than its predecessor and accessories aren’t backward compatible. Do you like your adventures to be well-documented as well as fun? Want an efficient way to have both a visual and statistical overview of your most recent bike ride or downhill snowboard run? In that case, a GoPro might not be able to cut it. Garmin’s VIRB Ultra 30, on the other hand, is jam-packed with sensors and connection options that give you greater insight into the footage you’ve taken. The VIRB Ultra 30 is the direct successor to the VIRB XE. The feature which set the XE apart from all other action cams -the G-Matrix – is here once more and has been improved. The G-Matrix is a collection of internal sensors including a compass, altimeter, gyroscope, accelerometer, and GPS which gives you precise data on your videos and superimposes it onto the recorded footage. Bluetooth and ANT+ connectivity allows connection to even more external sensors. While it isn’t waterproof on its own, the VIRB Ultra 30comes with a sturdy case which can withstand depths of up to an impressive 130 feet. The camera can either be controlled via voice activation, its touchscreen LCD or using two buttons on the top when you’re shooting underwater scenes. These can be shared through Wi-Fi, or even streamed directly to your YouTube account. Video quality is the biggest step up from the XE as the Ultra 30 now supports 4K at 30 fps. The quality is on par with that of the HERO5 Black, although the sound does suffer in all modes if you’re using the case. HD framerates have been ramped up to 120 fps, and there’s a new 2.7K mode too with a maximum of 60 fps. Although image stabilization is present and solid, it doesn’t work in 4K due to the way it is implemented. Another drawback is the general reliance on an external case. If the Ultra 30 isn’t in its case, there’s no way of mounting it since there’s no mounting point on the camera itself. Dimensions: 1.7 x 2.3 x 0.8 in. GoPro cameras have a serious drawback for divers – the just don’t go deep enough! If you’re an avid underwater explorer, you need a sturdy action cam impervious to the crushing pressure of the seabed. 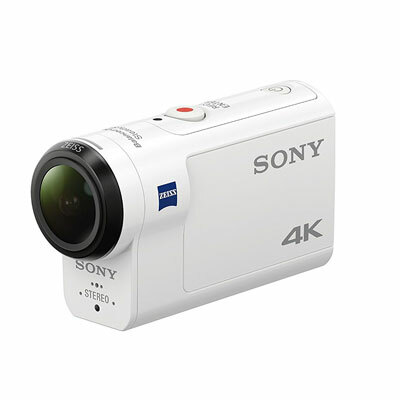 Sony’s FDRX3000/W is the undisputed champion when it comes to capturing the action at insane depths. That’s just the beginning though as industry-leading stabilization, excellent sound quality, and an innovative remote add to its value even more. Many action cams are either waterproof or come with housing, but none save the FDRX3000/W can go as deep down as a whopping 190 feet! The housing doesn’t impair you from using the camera, and quick adjustments are effortless even when deep down. For maximum control, there’s also a version of the camera with a remote viewer. This wristwatch-like screen allows you to control the camera remotely but brings its already beefy price up significantly. 4K footage taken with the FDRX3000/W is top notch. Unlike the majority of action cams, this one has a 3x zoom as well as the ability to alter the field of view from wide to medium and narrow. Built-in optical stabilization, a capable Zeiss lens, and one of the best built-in microphones in an action cam to date make for truly superb video quality under most conditions. Low-light environments present a bit of a challenge as noise starts to become an issue though. The FDRX3000/W’s battery drains quickly, although it’s a little bit better than a GoPro’s. You’ll get 45 minutes of 4K video with it at best an hour’s worth at FullHD, which is sub-standard. Convoluted menus, a Sony trademark at this point, make an appearance too. Navigating them takes a bit of getting used to, especially if you frequently fiddle with the camera’s more advanced settings. Dimensions: 1.6 x 3.3 x 1.2 in. When it came out back in 2016, Yi’s action camera was touted as a possible HERO4 Black killer. It managed to match most of the GoPro model’s features and bring a set of improvements to boot. 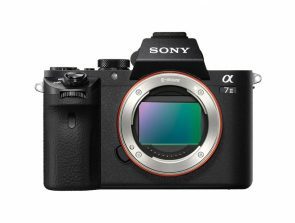 Now that the dust has settled and its price has been reduced almost by half, this camera has become one of the best entry-level models out there. Yi’s 4K action cam is a textbook example of minimalism – a grey box equipped with one lens, a single button, and a touchscreen. The button is used to power the camera on and off or to switch between shooting modes if used underwater. Everything else is accessed via the touchscreen that’s both bright and responsive. There’s a single tripod mount to make use of, and if you buy a tripod to GoPro converter there are loads of accessories to be paired with the camera. Its video quality is why you want to pick the Yi 4K action cam up though. It offers excellent performance at 30 fps in 4K, 60 in 2.7K, and 120 in FullHD. You can create time-lapse and slow-motion videos and extract stills as well. Low-light performance is comparable to cameras that are twice as expensive, so expect stellar footage of sunsets, dense forests, or nightlife. The camera sports a large 1430mAh battery, enough to capture almost 2 hours of 4K footage. Impressive! No waterproofing is the camera’s biggest limitation. You can offset it by buying an external case, but since there’s only one physical button to press you’ll have a hard time changing settings or turning the camera off. Even inexpensive cameras usually come with accessories like adhesive mounts. 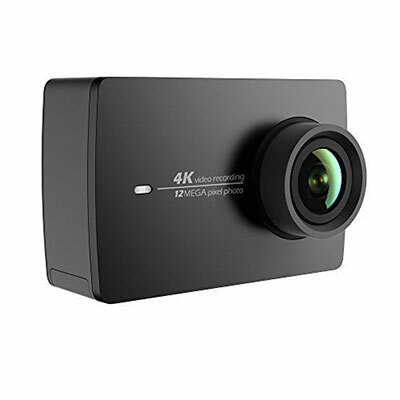 The Yi 4K Action Camera didn’t come with any extras whats ever, which was disappointing. Dimensions: 2.3 x 1.5 x 1.1 In. You’ve seen all the fancy specs of other, expensive action cams, but what if you just want decent 4K at an affordable price? SJCAM has a budget option capable of shooting stabilized 4K at 24 fps! 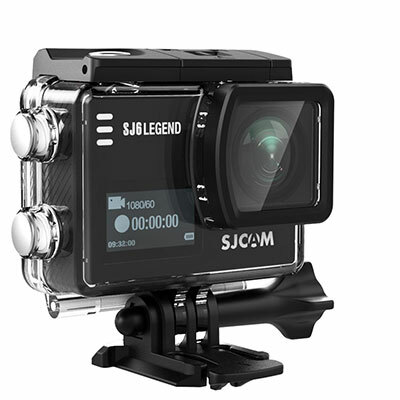 The SJ6 Legend packs decent video quality, versatile mounting options, and a robust waterproof housing into a package that’s more than affordable. If you’re strapped for cash or just don’t care about the frills, this is the action cam to get! Although the feature summarized in the subheading is what first drew us to the SJ6 Legend, this camera is by no means a one-trick pony! It is surprisingly light, yet its plastic surface feels sturdy, as does the waterproof housing rated for depths of up to 100 feet. There’s a tripod mount on the camera as well as a GoPro mount on the case, giving you access to a wide variety of mounting options for different situations, which is an uncommon sight on any action camera. Another uncommon feature for this price point is an LCD touchscreen. The menus are logical and simple to navigate so you’ll get your bearings in no time. There’s also a 2nd screen at the front that displays important info like the remaining battery life and memory, the current shooting mode etc. The SJ6 Legend has mini USBand micro HDMI ports as well as W-Fi. You can control most of its features with your phone via a free app. 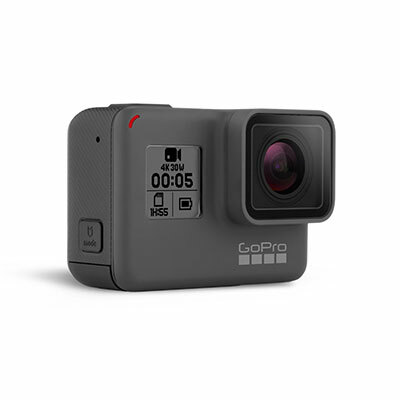 Although the battery is smaller than that of the GoPro-s or Garmin’s camera, the lack of GPS and other premium features gives it enough juice to record more than an hour of 4K when full. Apart from 4K, the SJ6 Legend can record 2K video at 30 fps with increasing framerates of 60, 120, and 240 fps for 1080p, 720p, and 480p modes respectively. 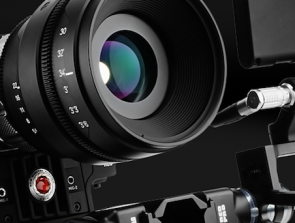 All video modes can take advantage of image stabilization, even 4K! Overall the video quality is above average for the price point – the colors are accurate, the visuals are sharp, and transition from light to dark and vice versa is reasonably good. The sound is of surprisingly good quality too, provided you aren’t using the case. The SJ6 Legend captures stills with aN16MP sensor, but they’re not as good as some of our other contenders’ since the fisheye lens makes objects that aren’t in focus lose out on detail. The camera’s app is spotty as well and prone to freezing. Dimensions: 1.6 x 2.3 x 1.1in. What to Look for in a 4K Action Camera? Every action cam in the guide can shoot in 4K with a framerate of at least 24 fps. While that cinematic look is enough for a seamless experience, better framerates offer smoother, more pleasing visuals. 30 fps is the norm now with 60 not far behind. If you want to make slow motion videos without sacrificing quality, consider an action cam that supports at least 120 fps at 1080p. 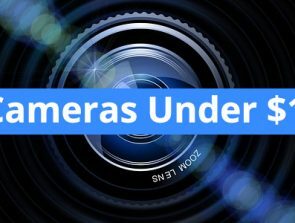 Modern action cams are primarily used for video recording, but are capable of producing decent stills as well and can even pull them from videos. The problem with most models is that they have a wide field of view which can cause the fish-eye effect and loss of image fidelity towards the edges. 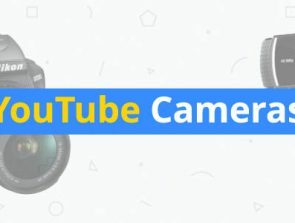 If creating decent photos alongside great videos is important to you, look out for action cams that have variable FOV settings which include medium and narrow. Most extreme sports and other adventures take place during the daytime in bright conditions. To be able to make anything out and make adjustments, your action cam’s screen should be well-lit. As snapping a pic or starting to record at the right moment is crucial, consider a touchscreen that reacts immediately as well as a device whose control scheme is straightforward so you can get to the setting you need right away. You don’t really want to be fiddling with your action cam while skydiving! Voice activation is essential for adrenaline junkies and everyone else who needs to keep their hands free and mind concentrated on the task they’re recording. A good microphone is the most important prerequisite to smooth voice operation as it can pick your commands up even among loud background noises like wind or a concert. If you know you’ll be using voice commands a lot, go for an action cam that allows you to do more with them than just start and stop recording. What’s the point of having an action cam if it can’t take the heat… or snow, dust, and grime for that matter? Your camera’s frame should be rugged and have a texture that helps you hold on to it more easily. Many models rely on an external case for waterproofing and additional protection. If you’re set on such an action cam, make sure that protective housing is part of the package, or that there are third-party ones available for it. Action cams with weak batteries force you to either bring a spare or have something to charge them with nearby. If you’re planning on taking the camera out into the wild or on extended diving sessions, a better battery is a must. Keep in mind that the battery’s life can be prolonged considerably if non-essentials like Wi-Fi and GPS are turned off. Even so, you should not go for a camera which shoots less than an hour of footage before needing a recharge.